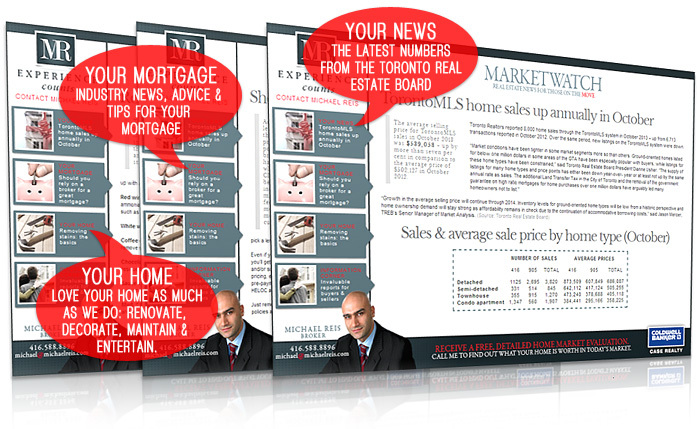 Do you want the latest real estate news delivered straight to your inbox? Our monthly e-newsletter, Marketwatch, is jam-packed with free real estate information, consumer tips, and market forecasts. Because our team believes that knowledge is power, we provide this newsletter free of charge and with no obligation. Please note: Newsletters are delivered electronically. With over 100 established neighbourhoods in Toronto, it can be overwhelming to choose a place to settle down. Our guide will help you take out some of that guesswork. Statistics, trends and news from around the web to keep you savvy, knowledgeable, and prepared for the real estate market.